Transportation costs are a necessary evil especially in large cities. Don't let these monthly charges eat away at your monthly budget. Here's some simple ways to maximize you work travel. Continuing our series of making sure you’re getting reimbursed for expenses, let’s take a look at transportation fringe benefits. Are you making the most of yours? I’m sure most readers are familiar with Internal Revenue Code 132(a). Just kidding. I’m guessing you hadn’t heard of it until today. But don’t worry, I wasn’t familiar with it either until I realized a recent change in the law meant I could save even more money on transportation expenses. IRC 132(a) contains the eight types of statutory fringe benefits that are excluded from gross income in calculating federal income tax. Specifically, today we’re interested in Section 132(f) which allows employees to pay for qualified transportation expenses using tax-free dollars. Since taxes are my single greatest expense, I’m always looking for a way to legally reduce my tax burden. A qualified transportation expense means any transit pass provided by an employer to an employee. A transit pass is any pass, token, farecard, voucher or other similar items which entitles a person to transportation on a mass transit facility (See Section 132(f)(1)(B)). On December 18, 2015, President Obama signed into law the Consolidated Appropriations Act which now allows employees to excluded up to $255/month in transit expenses (up from $130/month) plus an additional $255/month in qualified parking expenses. If you’ve made it this far, I bet most of you’re thinking that you’re already taking advantage of the monthly subway pass option. And that’s good – it’s rare to come across a lawyer that isn’t paying for a monthly subway pass with pre-tax dollars (although, if you are a solo or small firm lawyer, have you considered adding the program so you can also save on taxes?). You’re also thinking that your monthly subway card is significantly less than $255/month, so the bump up in covered expenses isn’t really that helpful. That’s where you would be wrong. 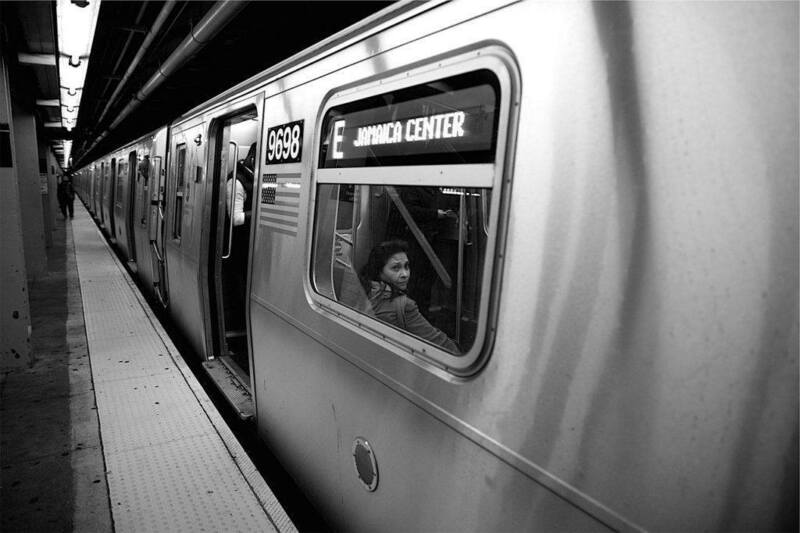 Chances are high that you are incurring more transit expenses than you think. All transit passes (which includes money loaded onto a reloadable farecard) are defined as a qualified transportation fringe benefit. My read is that the government is trying to encourage mass transit ridership, so they’re happy to incentivize you to use mass transit above and beyond your normal commute. This means you can use pre-tax dollars to pay for all train rides (e.g. to and from Newark Airport, Metro North, etc.). Most benefits companies (e.g. 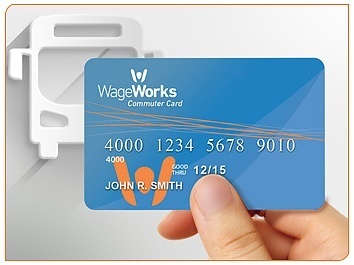 WageWorks) offer a reloadable credit card to pay for qualified transportation expenses. You select how much money you want loaded on the card and the money is deducted from your paycheck. In case that wasn’t clear, I will reiterate: You can load up a WageWorks Commuter Card with $100s of dollars and use them to buy train and bus tickets at just about every possible service in the NYC area. The money never expires as long as you are employed with your current employer. You only receive one physical card, which is recharged automatically when a deduction is made from your paycheck. Yes, your reloadable commuter card works at these stations. What happens if you leave your job? You have 90 days from your separation date to spend any remaining balance on your transit card. 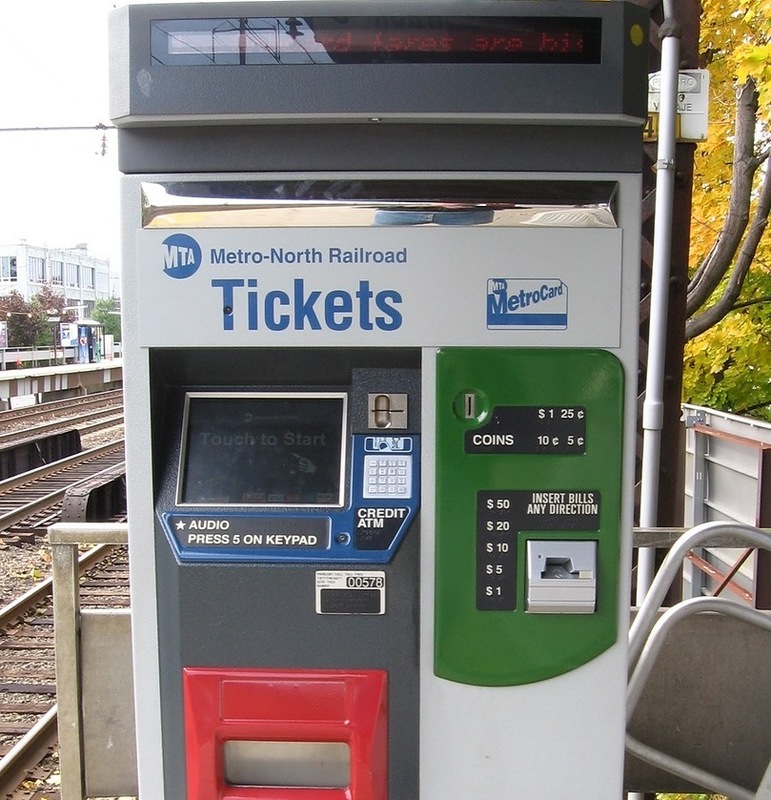 If you manage the card so that you never have too much excess money on the card, that shouldn’t be a problem, especially given that you can use the card to pay for NYC subway expenses as well. Can You Use the WageWorks Transit Card With Uber? Good question. The answer is unfortunately no, but it’s a popular search term which means several other people had the same question. UPDATE: YES, now you can use your Wageworks Commuter Card with Uber. Although you can’t use your card with Uber or Lyft, there is one ride sharing service that has been accepted into the NYC commuter benefit program: Via. As a Brooklynite, Via is not yet available in my area, although I’d love to give it a try. The concept is simple: you use an App to hail a professional chauffeured vehicle where you share your ride with others going the same way. Sounds like a high-tech mini bus to me. Via claims that the average wait time is 5 minutes. Fares are $5 plus tax for rides from 6am to 9pm and $5.95 for rides from 9pm to midnight. The service is currently available in Manhattan and Chicago. Unfortunately, bike sharing programs (like Citibike in NYC or Bay Area Bike Share in SF) are not considered a mass transit facility and are therefore not covered. Now that you’re aware of the free tax savings, either sign up for a monthly reimbursement with your benefits department if you haven’t already or get your stored value card. Start with a one-time deduction of $50 so you can get the card and begin to use its benefits. Chances are pretty high that you’ll start to find several opportunities to use the card and be re-loading it in no time. Congratulations – you’re now riding the trains tax-free. Let’s talk about. Do you take advantage of 100% of your transit and parking benefits? Let us know in the comments. Do you have any experience with Via? We’d love to hear about it. Hey BI, very interesting to read about. There is a similar type of thing in Australia, using pre-tax dollars that you can use to pay for rent, supermarket shopping etc, anything that is a bill. It’s only available to public (eg hospitals) employees not for everyone. Definitely worth taking advantage of! Interesting, but I am not sure it is correct. All the verbage I read says the funds can only be used for commuting to/from work. It’ll work. Load $50 on a card and give it a shot. Thanks, I understand it will work. I am just wondering if this is against the IRS rules.. I don’t think the IRS has any interest or time in looking at this kind of stuff. There’s a certain allowance for qualified transportation benefits and the IRS probably doesn’t care unless someone is trying to scheme the system by exceeding that allowance. I doubt the IRS would ever audit the subject any further, as most of the controls are set up in the way the money is issued to you (e.g. they’re not issuing credit cards with cash balances that could be spent on a new iPad). In situations like this, I’m a fan of calling the gray areas in my favor. If I’m wrong and it comes up in an audit, it’ll make a good post for the site!